Sell More Roofs Just By....Talking About Your Warranty? 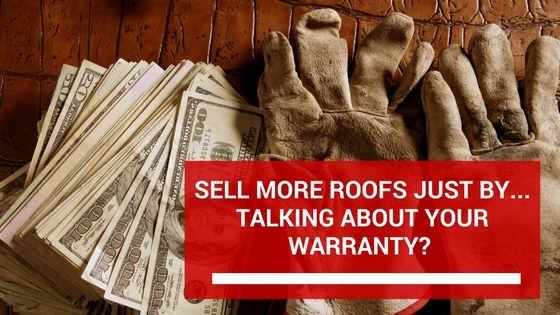 Sell More Roofs Just By... Talking About Your Warranty? It's been over a month since my last blog post on Roof Engine. No, I haven't been slacking or on exotic Caribbean vacation sailing through tropical blue waters. That's not until November. I've been hard at work, developing new strategies to help roofers attract more leads and sell more roofs. Today... I'm going to tell you about the most powerful strategy I've tested all year. I work with around 20 roofing companies across the US, helping them generate more leads and grow. As soon as I rolled this out for all of my clients, the leads started pouring in. The best part... 80% of these leads were re-roof leads. No $300 repairs. We started talking about WARRANTIES. When a homeowner goes to Google to find a roofing company, they usually have to sort through 4 or 5 companies that look pretty similar. Some have been in business for 80 years - some for 20 years. Some are family owned...some are Joe and a pick up truck. Most roofing companies look pretty similar to the average homeowner. What if there was a magic sentence that could make your roofing company stick out as the THE roofing company in your area? "We proudly offer a Lifetime Warranty on every roof we put on. "or"We proudly offer a 50 Year Warranty on every roof we put on. "or"We proudly offer a 20 Year Warranty on every roof we put on." I'm sure you know what the longest warranty that you can offer through GAF, Certaineed, or Owens Corning is. But most homeowners have no idea what a typical new roof warranty looks like. Insert your warranty into the sentence above, and put it front and center on your website, business cards, yard signs, and Google Adwords ads. 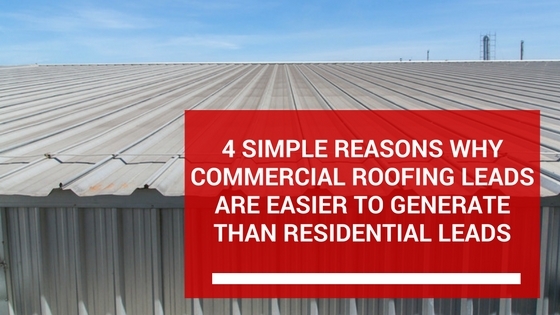 It doesn't matter if not all of your roofs come with that warranty. The main thing is that you offer it. "But Max... we only do commercial roofs!" Doesn't matter. Tell them about your warranty. "But Max... every roofing company around me offers the same thing." Doesn't matter. If you're the 1st to tell them about it, you're the only one that offers it in their eyes. Let's pretend there are 2 roofing companies in Chicago with similar websites. We proudly offer a 50 Year Warranty on every roof we put on. Roofing company #2 is going to appeal to an emotion. Fear is a very powerful emotion. The fear of something going wrong with the new roof. The fear of making the wrong decision. The fear of choosing the wrong company. Talking about your warranty quickly removes the fear from their mind. It gives them confidence in choosing you over the other guys. In fancy marketing terminology, this is called a Unique Selling Proposition (USP). It's a proposition that you make when you're selling something that makes you unique. It separates you from the competition. It makes you the only logical option. If you're already mentioning your warranty in all of your marketing, great. Time to take some action. Contact your web guy and tell him to add that sentence to every page of your website. Make sure that it's hard to leave your website without your warranty being ingrained in the visitor's head. 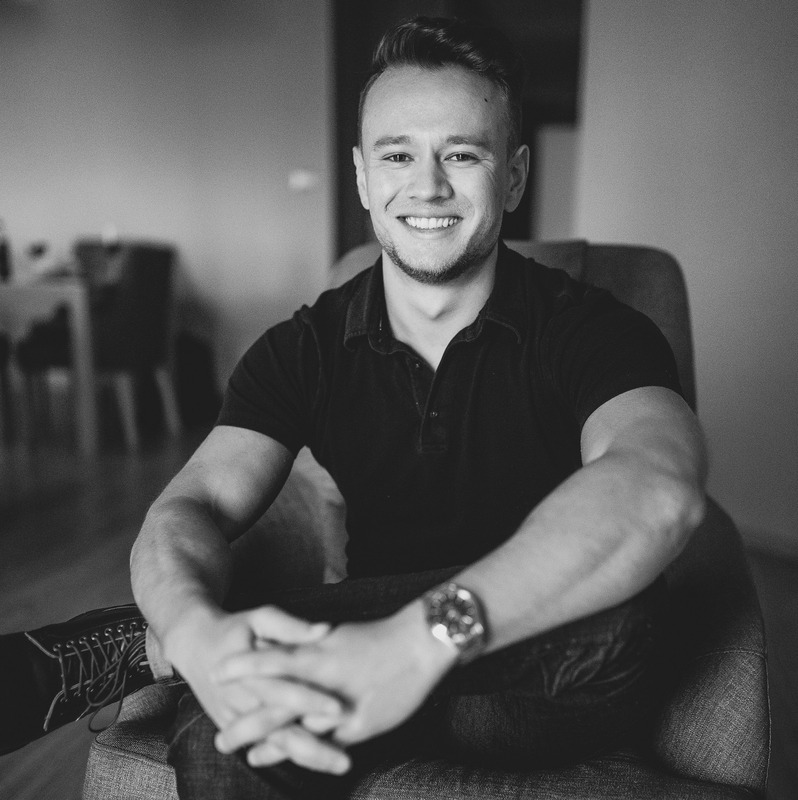 If you're not getting the amount of leads you want each month, there's probably just 1 or 2 pieces of the puzzle that you're missing. I can help you figure out what those pieces are. It's called a Roofing Blueprint. The Roofing Blueprint is a 1-on-1 call where I help you fill in the missing gaps in your marketing. Almost every roofer that schedules a Roofing Blueprint with me leaves the call with a clear idea of how he can fill up his schedule with estimates. The Roofing Blueprint is 100% free and normally takes about 45 minutes. You can schedule your 1-on-1 Roofing Blueprint by clicking this link.